Are you considering homeschooling your child? You can do it! As you get started, it’s important to make sure you comply with the education laws where you live. This page helps you understand how to homeschool legally in Minnesota—step by step. Beginning with the 2014–15 school year, children between 7 and 17 years of age must receive instruction unless they have graduated. Regardless of age, once a child is enrolled in kindergarten or a higher grade at a public school, he or she is subject to compulsory attendance. A school board may have a policy that exempts children under age 7 from being required to attend school. In any district, a child under age 7 who is subject to compulsory attendance may be withdrawn from enrollment for good cause by a parent. HSLDA members, please contact us if you have specific questions about how the compulsory attendance laws apply to your child. If you are not a member of HSLDA, you can join here. HSLDA believes that a parent-issued diploma and transcript should be sufficient to demonstrate that a child has completed a secondary education. However, even if your child is beyond compulsory school attendance age, there may be situations where you would want to continue to follow the requirements of a home education option recognized under Minnesota law until your child graduates from high school (filing a home education notice, keeping attendance and other records, etc.). These records may be requested in some situations, such as obtaining a driver's license if your child is a minor, enlisting in the military, applying to colleges, or demonstrating eligibility for Social Security benefits. If you are a member of HSLDA and would like additional details, please contact us. We invite you to become a member of HSLDA to receive specific advice about withdrawing your child from school and starting to homeschool. Local schools may have specific forms or withdrawal procedures. HSLDA members are eligible to receive individualized advice about whether complying with those procedures is advisable or required. HSLDA members can also use the sample letter of withdrawal for Minnesota available in Member Resources to correspond with school officials. Minnesota’s education code explicitly recognizes that a child’s parent is primarily responsible for ensuring that the child acquires the knowledge and skills essential to effective citizenship. In order to homeschool legally, you will need to follow these guidelines. 1. Ensure that the instructor has the required qualifications. The required subjects are reading, writing, literature, fine arts, math, science, history, geography, economics, government, citizenship, health, and physical education. While there is no specific requirement in Minnesota law for how often each of the subjects must be taught or at what grade levels, HSLDA’s general recommendation is that each of the required subjects be taught at an age-appropriate level every year during the elementary and middle school years, and at least once in high school. Minnesota law requires that you maintain documentation indicating that the required subjects are being taught and proof that the tests required have been administered. This documentation must include class schedules, copies of materials used for instruction, and descriptions of methods used to assess student achievement. This information can be required by a county prosecutor in accordance with the law. HSLDA members who receive such a request from their school superintendent or county prosecutor pursuant to records requests should contact us immediately. HSLDA also recommends that you keep records of attendance, information on the textbooks and workbooks used, and student work samples. You should maintain these records for at least two years. If your child is in high school, you should maintain these records for all four years of high school. 4. Evaluate your child annually. You are required to test your child annually using a nationally norm-referenced standardized achievement test. The test and the testing location must be agreed on by you and the district superintendent. If your child scores at or below the 30th percentile or one full grade below children of the same age, you must have your child evaluated for learning difficulties. You should maintain your achievement test results in accordance with the recordkeeping requirements described above. If your homeschool is accredited by a recognized Minnesota accrediting association, you are not required to test the children. 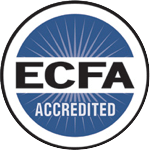 For more information about accrediting your homeschool, see here. 5. Notify your school district that you are homeschooling. After your child reaches the age of 7, you must submit notification to the superintendent of the district in which your child resides by October 1 of each school year, or within 15 days of withdrawing the child from public school. The first notification you submit should report the name, date of birth, and address of each child being taught, the annual tests you intend to use (if required), the name of each instructor, and evidence of compliance with teacher qualifications (if applicable). You must also report immunization compliance for each child reaching age 7 and then again in the 7th-grade year. If you move out of your school district, you must notify that district within 15 days of moving. HSLDA provides user-friendly forms our members can use to comply with Minnesota’s homeschool law. Please download the forms you need. If you have any questions about the forms or complying with the law, HSLDA members may contact our legal team. To become a member of HSLDA, click here. You can find Minnesota’s specific recordkeeping requirements, if any, above. Regardless of what state you live in, HSLDA recommends that you keep detailed records of your homeschool program. These records may be helpful if you face an investigation regarding your homeschooling or your student needs to furnish proof of education.